Hotel Prime Residency is an ideally positioned property near the tip of Nariman Point. The hotel is inviting, well-decorated with pristine white walls alongside highlighter walls replete with bright colors, and promises a restful stay. 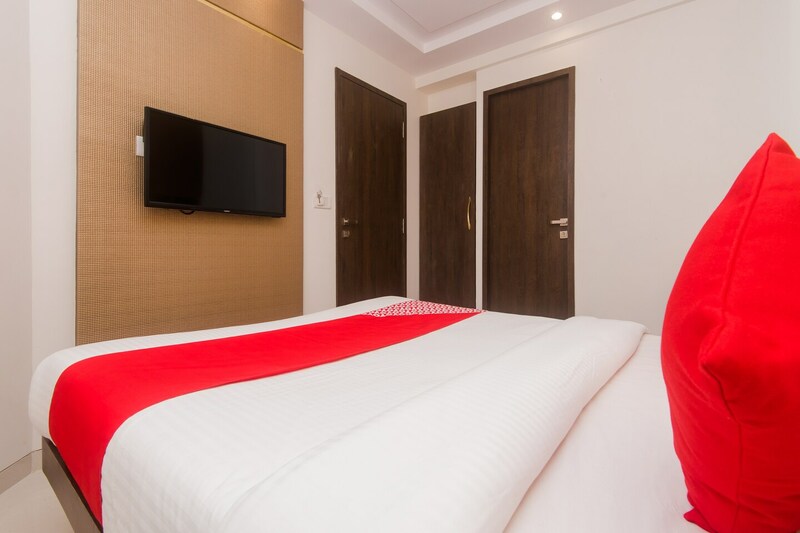 The bedrooms at the hotel have a warm and relaxing ambience with light colored walls and dark woof furnishings while one of the walls is textured. The hotel provides its guests with amenities such as free Wi-Fi, CCTV cameras and a card payment option. After relaxing at the hotel in your well-designed bedrooms, you can easily step outside to take in the sights and sounds of busy Mumbai with the evergreen Marine Drive and Nariman Point nearby. If you wish to shop for knick-knacks or dine instyle then Colaba Causeway is the right place for that.